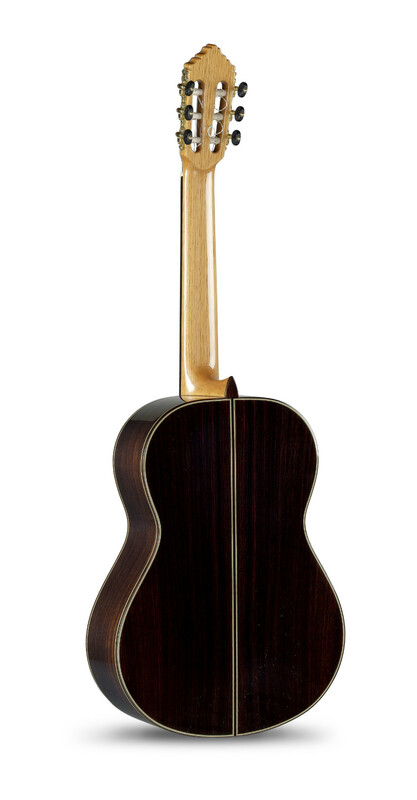 The 11 P model is the highest range before the series called "signature models", the most select luthier guitars. The finishes of this model denote an important craft work and a very refined image. It is worth mentioning the additional green line in the binding, as well as the type of construction. 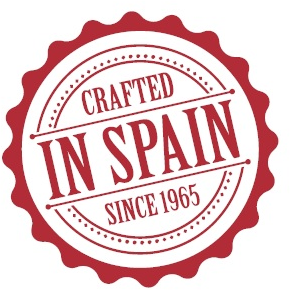 In this regard, the piece called the heel, of the traditional construction system called "Tacón Español", in the model 11 P is composed of 5 pieces, while in the other models have a single piece. The structure on the 11P is much stronger and surely this has an influence as well in terms of sound. It can also be observed that the 11 P’s fingerboard is longer. 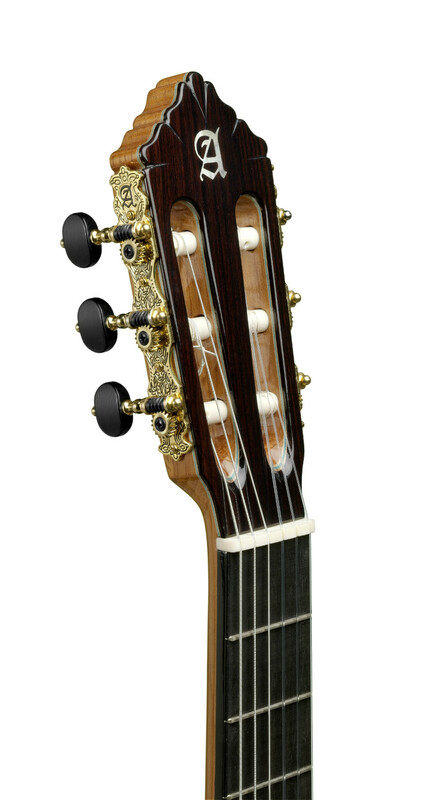 The fingerboard goes over the sound hole in order to introduce an additional fret that is required for high graded players to play some musical pieces (compositions). In addition, this instrument comes with the saddle and the nut made of bone, a material traditionally used and with exceptional vibration capabilities. 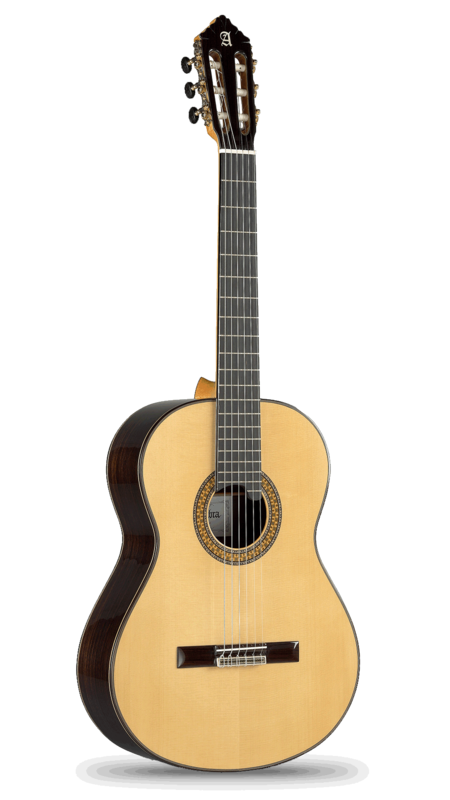 These characteristics together with a careful selection of woods and a craftmaking, produce a strong sound, with consistent and concert level. The sound of the 11 P model is a powerful sound, but at the same time it can produce the most delicate and melodious notes with a sweet and refined sound. In short, this guitar responds well to the demands of the guitarist. When you hold in your hands, the sensation is of robustness, of transmitting energy and the guitarist enjoys making it sound. 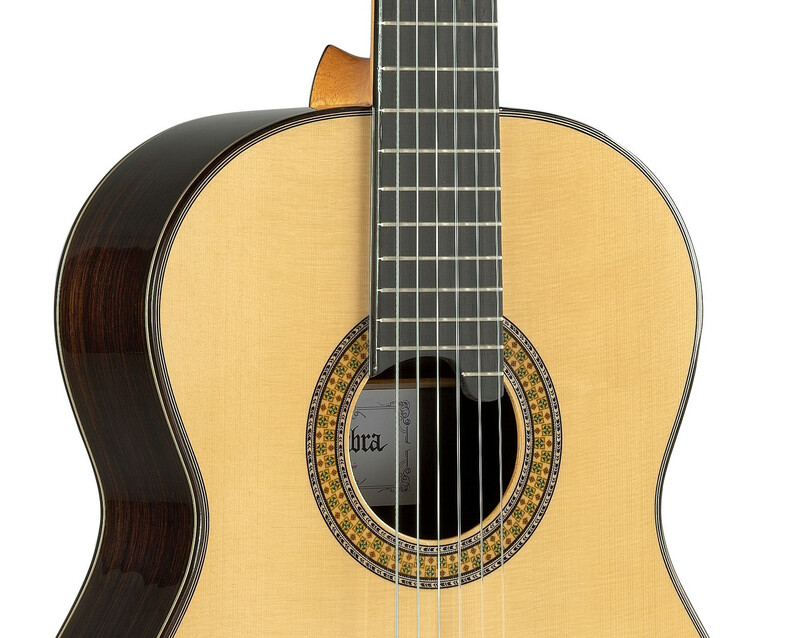 All these features provide this concert guitar with high-level attributes for interpretation.